A full-featured project management solution with all the necessary functions right at your fingertips. 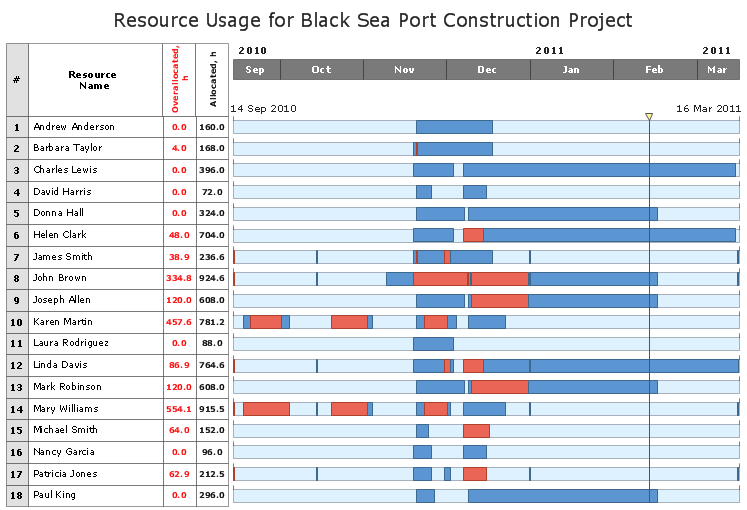 Generates an extensive variety of reports on project and task statuses. Centralizes project information through embedded documents and hyperlinks. Unique Multiproject Dashboard manages multiple projects from a single file. Powerful integration with other ConceptDraw products makes project management easier than ever before. Delivers a rich set of built-in functionalities and optional product extensions that support your daily workflow in time-saving and creative ways. These videos provide a series of lessons that will enhance the understanding of all our users, from people just starting out with the software, through to expert users. Separated into categories of Basic, Intermediate, and Advanced categories, the new instructional videos cover a huge breadth of topics. Users new to ConceptDraw PROJECT will find the Basic lessons an essential platform for familiarizing themselves with the ′s functions. Experienced users will benefit from the Intermediate and Advanced lessons, learning to take advantage of the program′s full capabilities and unlock its true potential. ConceptDraw PROJECT contains an extensive tool set to help project managers. The rich data visualization capability that is provided by ConceptDraw products helps you create project dashboards, one-click reports, multi-project views, Gantt charts, and resource views. Let′s learn how to get maximum value using ConceptDraw PROJECT ! Once you have scheduled tasks in your project, you will need to associate resources involved in the tasks’ completion. This will allow ConceptDraw Project to calculate costs related with those tasks. Also it will provide you with exact information about the usage of work resources, materials, or equipment. This will provide high accountability and understanding of the project as well. That’s why it’s important to be mindful when assigning resources to tasks. A full-featured project management solution with all the necessary functions right at your fingertips. Generates an extensive variety of reports on project and task statuses. These videos provide a series of lessons that will enhance the understanding of all our users, from people just starting out with the software, through to expert users. Users new to ConceptDraw DIAGRAM v12 JECT will find the Basic lessons an essential platform for familiarizing themselves with the program′s functions. This video lesson will teach you how to set up task trees and dependencies.